This large mug features a hare in flowers and grasses, inspired by the hares playing in the fields next to Jo's garden studio. It is perfect for warming up with a cup of tea, coffee or hot chocolate. 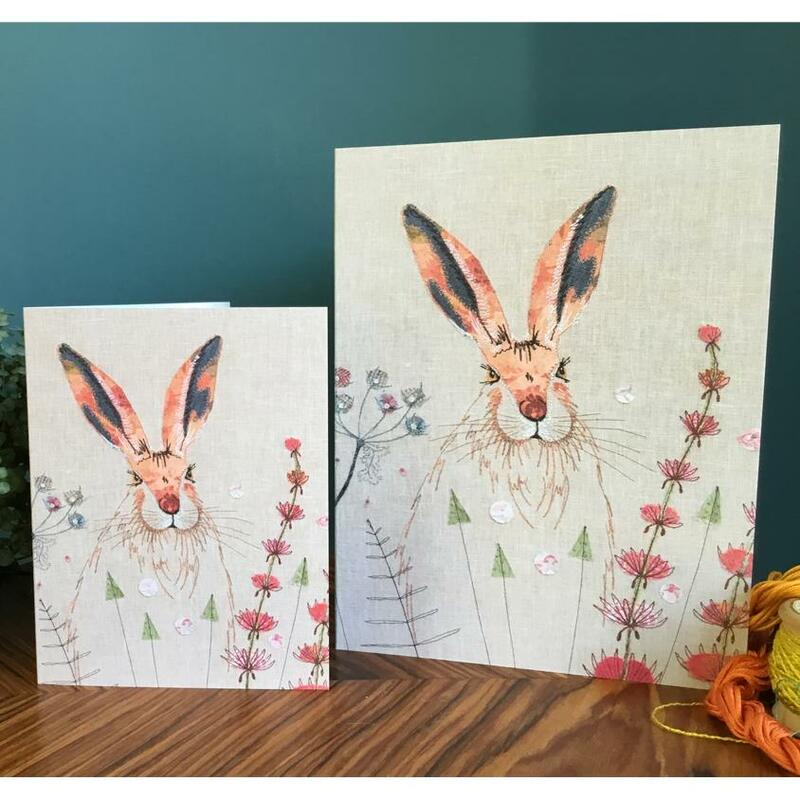 "I created the original, handmade hare design in warm reds, coral and pinks on a taupe ground, together with contrasting blue and green flowers created in my unique style. It was created using free motion embroidery, an exciting technique where I use the sewing machine to 'draw' the details of the wildlife onto the fabric with the sewing machine from my studio in the heart of the Staffordshire countryside."